Marie Macklin took time out recently to get behind Ayrshire Cancer Support's Spring campaign which encourages volunteers to hold "Cocktails, mocktails and tiaras" events to raise cash for this local charity, based in Kilmarnock. 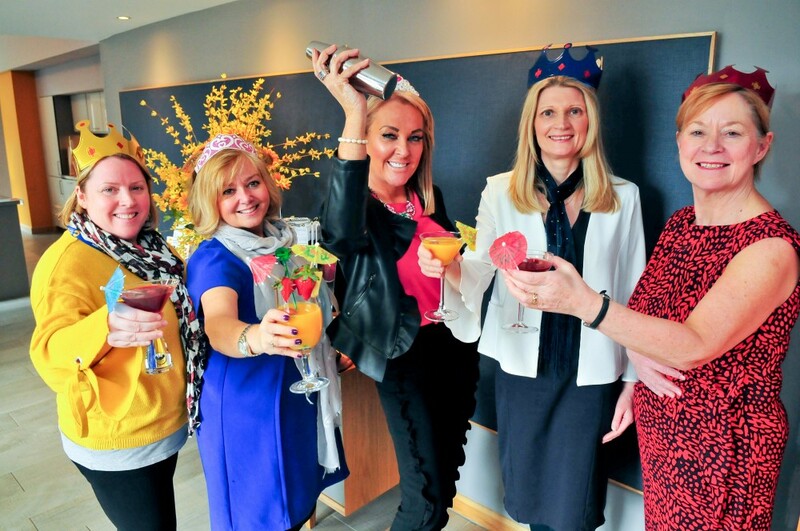 "I take my tiara off to the team at Ayrshire Cancer Support who work tirelessly to provide free assistance for people living with a cancer diagnosis, their families and carers. The funds that will be raised at these events will help them to continue to provide this valuable service and deliver support to those who need it most at a difficult time for them." These events will be held across Ayrshire throughout March and April, with funds raised being used to transport patients to hospitals in Glasgow and Ayrshire for lifesaving appointments and the provision of complementary therapies, counselling services and pain management classes.